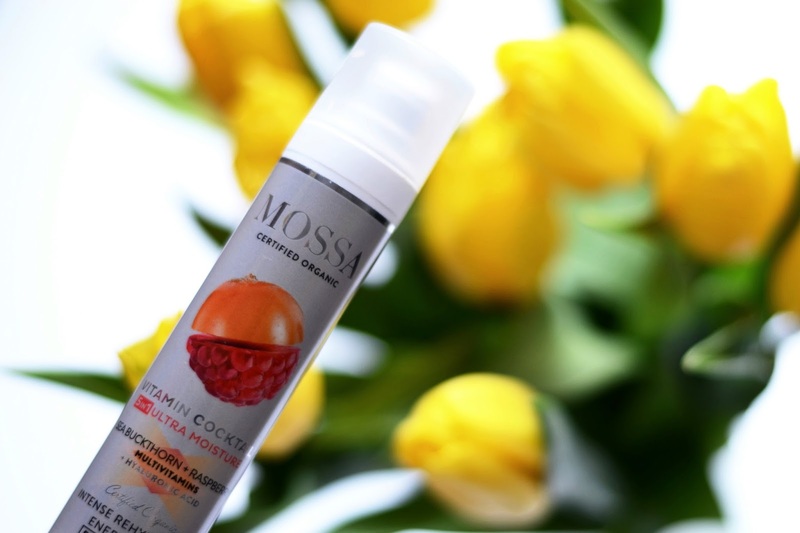 Looking for a daily shot of a vitamin cocktail for your face? This is something worth to try. I must admit, I was kind of late to the party with this cream. Well actually all of the MOSSA products. I remember seeing them in our main drugstore numerous of times, but somehow they didn't catch my attention. But that all changed after seeing Brigitas beautiful post, where I actually learned that MOSSA is the brands MADARA sister and that it's a new organic cosmetic brand with 11 facial care products that are made based on unique, organic, ecocert certified northern berry vitamin formula. And so I got curious and then this cream kind of "fell" into my basket and was bought. 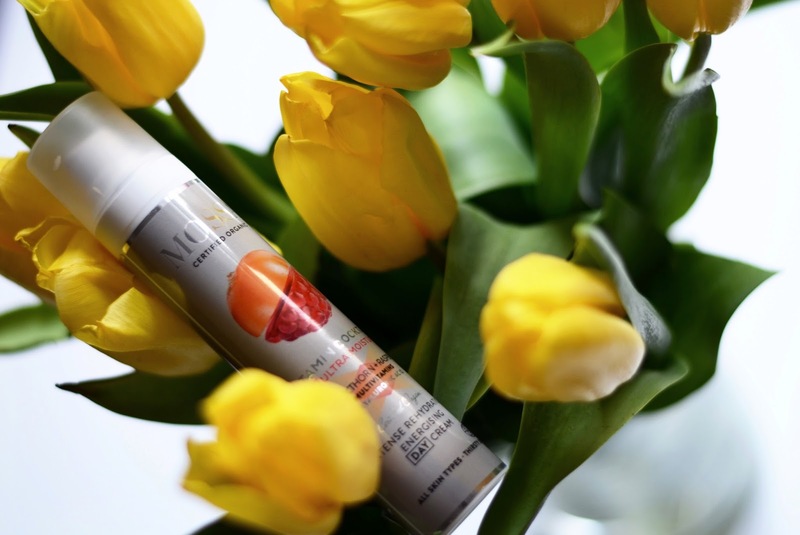 I decided to go slow, so I picked up the Intense Rehydration Energising Day Cream (For all skin types) that has sea buckthorn, raspberries and hyaluronic acid in it. So let's start with the visual - the packaging. It's very handy and easy to pop in my bag if I stay overnight or if I decide to go bare face and just want to get some hydration on my face throughout the day. I've never had problems with dry skin, but this is the first winter where I really need to think about my skin and hydration more than usually. Also great thing about it is that it has a pump. Only after the first use I learned that I'm good with half a pump, because a full one gives just too much product that I don't need. Now about the cream. It is very light and soaks in your skin really fast. The only thing that's hard for me to accept is the smell. I don't mean it smells bad, oh no it smells good. So good that I want to eat it with a spoon, but sea buckthorn on my face? Can't really get used to that (I'm the same with honey, chocolate massages - that is just not for me). After using it for about less or more than a month I mush admit that my face feels a lot smoother and woken up. So the resume - all in all, it's a lovely product worth a try. The next one on my agenda is the eye cream. Have you ever used this cream? Man šis krēms ļoti patika. Esmu Mossa jāņogu krēmputu fane, lietoju jau otro iepakojumu un domāju, ka pie tā arī palikšu. Ja nemaldos, tad šobrīd krēmputām ir diezgan pievilcīga cena, ap 7eur. Kāds man prieks, ka kādu manas bildes iedvesmo! :) Un es Tev piekrītu - jo ilgāk, jo labāk. Tagad mana seja pieradusi pie krēma un ātri uzsūc to, padarot sejas ādu maigāku, gludāku un veselīgāku!